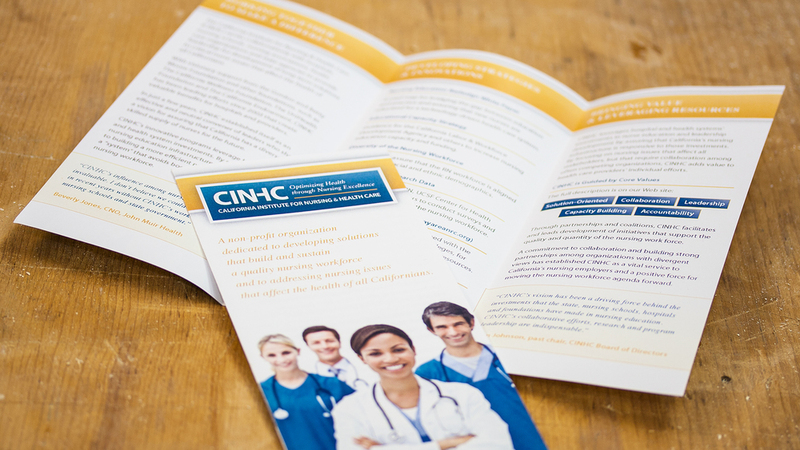 The California Institute of Nursing and Health Care is the authority on all issues surrounding nursing in California, and needed a brand identity and website to help command such authority. 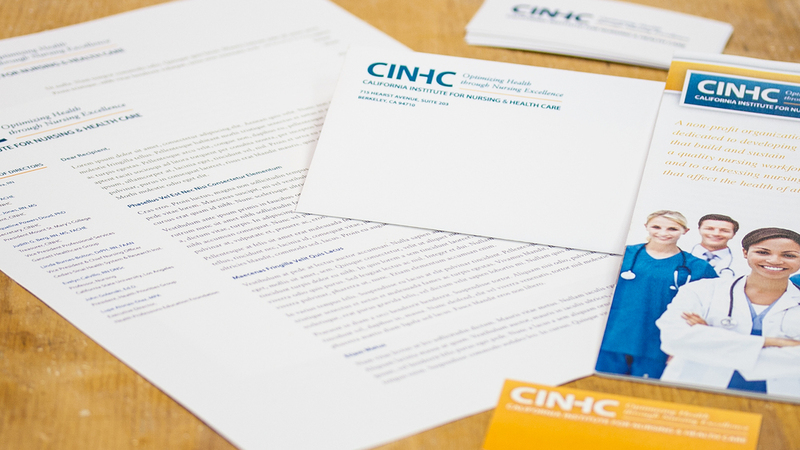 Elative developed a strong brand identity across all branding and marketing collateral that accurately portrays CINHC as a timeless and authoritative organization for both the public and private sectors. 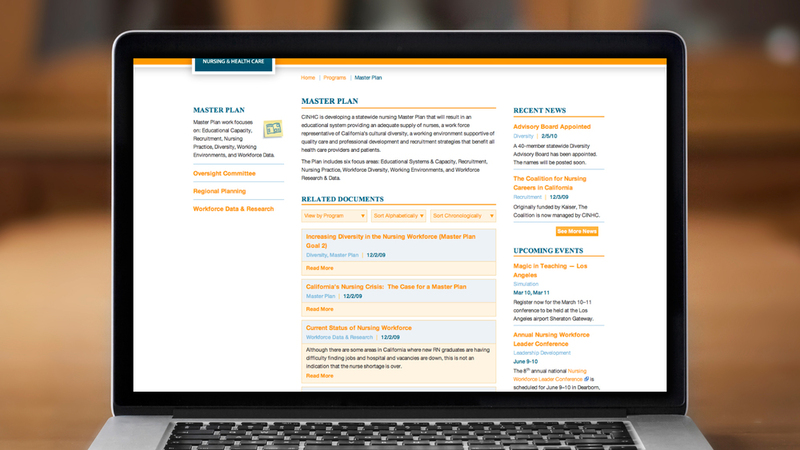 The new website boasts a highly usable and SEO optimized design, one that significantly expands the functionality of beyond their previous website to allow for sophisticated document management. 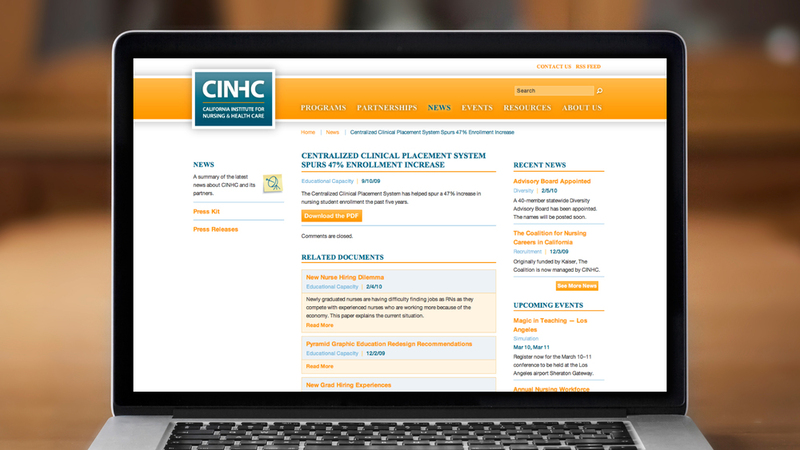 This allows CINHC’s many messages and information to be accessible to as many people as possible.